The first federal law requiring seat belts to be put in cars was all the way back in 1968. While the resistance was great back then, most drivers nowadays accept the seat belt as a must-have piece of safety equipment. I believe that, in ten years, wearable technology be part of our everyday lives, just like a safety belt for our health. The human body has its own sophisticated sensor system. When a virus or poison spreads in the body, we notice the symptoms. But sometimes, we are only able to realize what is happening when these processes are already in full swing and the illness has become acute. We can then self-diagnose the cause of our stomach troubles as the bad sandwich we had from the evening before, or the cold we caught from a sick colleague. Technology can give us an advantage when it comes to early detection: According to a study published by Stanford University in January, wearable biosensors can reveal useful health information and potentially aid in managing health. Biosensors could be useful in detecting early signs of diseases. In addition, various Proofs of Concept show that heart rate, skin temperature and oxygen saturation can be still more useful. For example, the concentration of bilirubin in the blood can be determined with photometric sensors. The substance can indicate, for example, acute poisoning or liver damage. Here, the various hardware manufacturers come into play, which record a variety of bodily data with different devices. This starts with measuring steps and sleep, leads to time spent running and BMI, and doesn't stop with teeth cleaning performance or hair brushing efficiency (no joke). On an individual basis, this data will once again be incredibly important. Especially in connection with other information, Wearables could play an enormous role in the control of pandemics - a danger Bill Gates recently warned strongly about at the Munich Security Conference. But does the possible salvation of millions of people justify surrendering our personal health information? Or our GPS position to track infections in detail? Or provide data from social networks or our personal calendar to understand, and also predict, transmission paths? An even more delicate topic is the consequences of data processing. Machine learning systems would hardly be avoidable in the face of such complexity. But what are the limits of authority for such an intelligence? Prioritization of vaccinations? Specifically arranging samples and tests for the analysis of virus strains? Scheduling a person's appointments for the day, or even for advising particularly vulnerable persons to stay home? Can AI be trusted to make health-related judgments? And there is still another hurdle: Who can be trusted with this data? Governments and private companies? As far as the wellness and health sector is concerned, there is hardly any manufacturer as broad as Withings - and now Nokia, as the French manufacturer was taken over last year by the Finnish company. 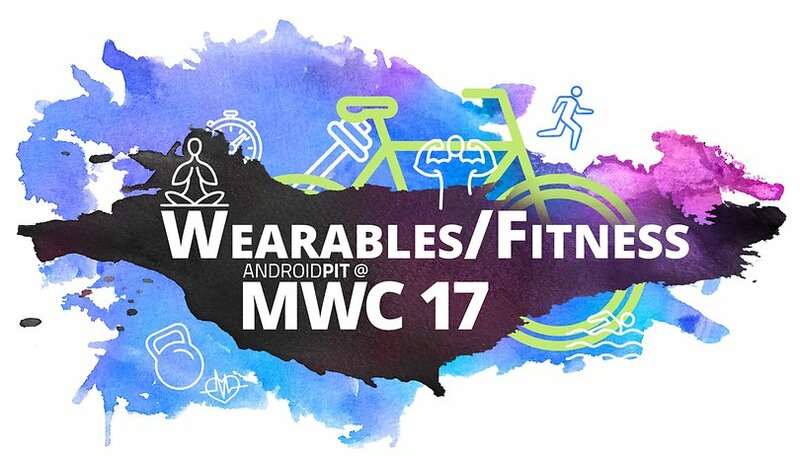 At the MWC in Barcelona, ​​we had the opportunity to speak with the Withings CEO and VP of Digital Health at Nokia about wearables and the future of the health care. You can see what they said in the following video interview. When the seat belt became a mandatory safety feature in vehicles in 1968, the controversy was also great. Many people felt patronized by the device's presence, and didn't want to appear paranoid or dull for using it. There were even horror stories saying you couldn't save yourself from a burning vehicle in time if you used a seat belt. The future of this health technology may be frightening - but in a few years it could save millions of lives. Bill Gates, for example, thinks a pandemic with 30 million victims could happen in the next 10 to 15 years. Why should we refrain from taking countermeasures? What do you think of the potential of wearables in the future of health care? Are you afraid the data might fall into the wrong hands, or excited about the possibility of saving millions of lives? I believe in wearable as a health play but tmquestion the role Android wear will play in promoting this truth. As Gear S3 I'd like to Android wear gain both traction and influence. Right now IDC has them listed in the "others" category after 2.5 years on the market. This has to change as android wear 2.0 is just playing catch up to both Tizen and watch OS.